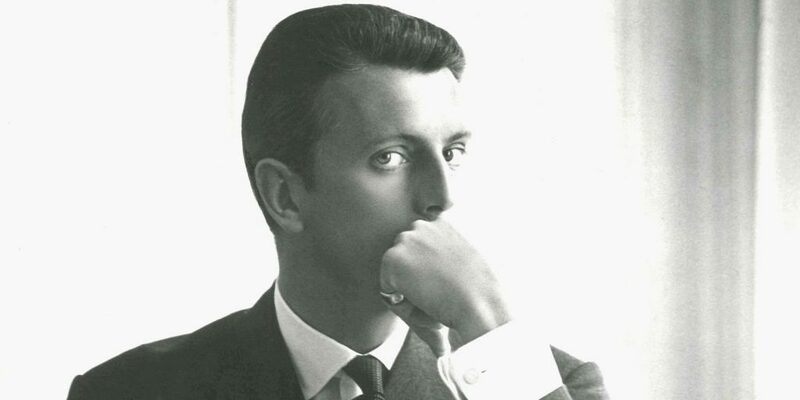 Hubert de Givenchy, the Paris couturier known for his work with Audrey Hepburn (especially in 1961's Breakfast at Tiffany's) and Jacqueline Kennedy Onassis, died Saturday. He was 91. Born into a titled family, Givenchy worked for Jacques Fath (1912-1954), Robert Piguet (1898-1953) and Lucien Lelong (1889-1958) before striking out on his own, idolizing the work of Cristóbal Balenciaga (1895-1972). The French visionary founded his House of Givenchy in the Rue Alfred de Vigny in 1952 as a twenty-something, quickly becoming known for his artistry. He had no struggle in those years, with his very first collection — named after top model Bettina Graziani (1925-2015) — causing a sensation. In that collection, his concept: Separates. Yes, he popularized mixing and matching couture pieces, which hadn't been done before. Givenchy's hallmark was chic comfort, also a radical idea — fashion that served a woman. As such, he created the shirt dress, the sack dress, the balloon coat and the baby doll dress. One early muse was the household-name model Suzy Parker (1932-2003). But it was Hepburn who was most closely associated with Givenchy. It was a kind of marriage. Little by little, our friendship grew and with it a confidence in each other. There [was never] any criticism of the other person, no upsets. He went on to publish the 2015 Hepburn tribute book of sketches To Audrey with Love. By 1995, Givenchy had retired from his business, clearning the way for future stars like John Galliano (b. 1960), Alexander McQueen (1969-2010) and Julien Macdonald (b. 1971). The House, as famous for its perfumes as for its clothing, was later revitalized by Riccardo Tisci. It is currently under the artistic direction of Clare Waight Keller. A collector of bronze and marble statuary, he died in his sleep at his castle in Paris.